Microsoft has acquired Beam, a Seattle-based interactive game streaming service that lets viewers play along with streamers as they watch. Beam’s model takes the mostly passive interaction that streaming fans may be used to from services like Twitch and YouTube, and adds the ability for viewers to interact with the streamer via crowdsourced controls. Players interacting through Beam can direct the play of the person streaming, doing things like setting which weapon loadout they take into battle for multiplayer shooters, for example. It launched at TechCrunch Disrupt NY 2016, and won our Startup Battlefield competition. Visual controls provide viewers the ability to help players pick quests, and you can even assign challenges that alter the gameplay considerably from what you’d get via a typical play through. Beam will join Microsoft’s Xbox team, and “remains committed to its mission of importing users and streamers across platforms” according to Microsoft. Beam founder and CEO Matt Salsamendi told me via email that Xbox’s community focus is specifically what made them a good fit for the young company. In a blog post announcing the news, Salsamendi explained that no immediate changes are planned for the platform, but that the Microsoft acquisition will help Beam grow the platform and add new features and game integrations thanks to the addition support the larger company can provide. No terms of the deal were disclosed. The company launched on January 5 this year, with an official debut of its interactive tools at Disrupt in May. Salsamendi will lead the Beam team from Microsoft’s Redmond campus, where they’ll operate under the Xbox engineering department. 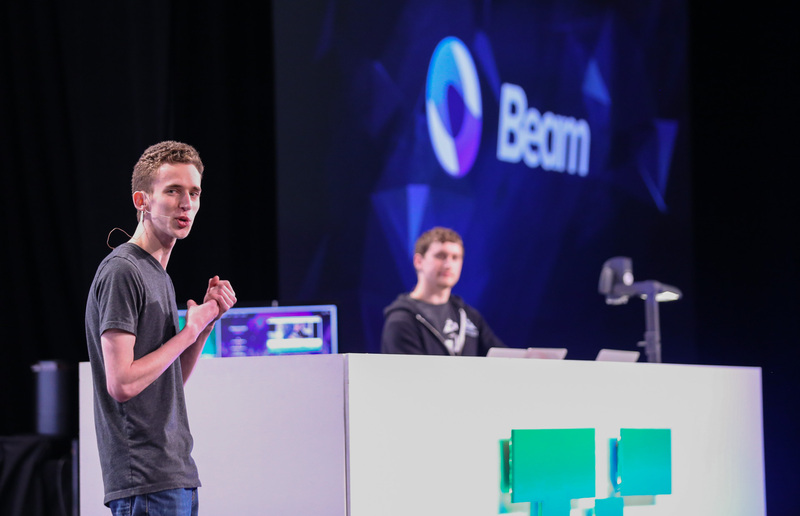 In addition to wining TechCrunch Disrupt, the Beam team had raised around $420,000 in seed funding, and participated in Techstars Seattle’s 2016 class. For Microsoft, picking up Beam gives it a way to build an in-house streaming service, and one designed for participatory play. In its blog post announcing the deal, Microsoft highlights Minecraft as an example of how Beam’s software can promote more social play, and it’s actually a title tailor-made to the kinds of interactions Beam provides. If Microsoft can use the acquisition to drive more community engagement among the younger audience that devours Let’s Play videos, then this should turn out to be a very worthwhile partnership.